1. 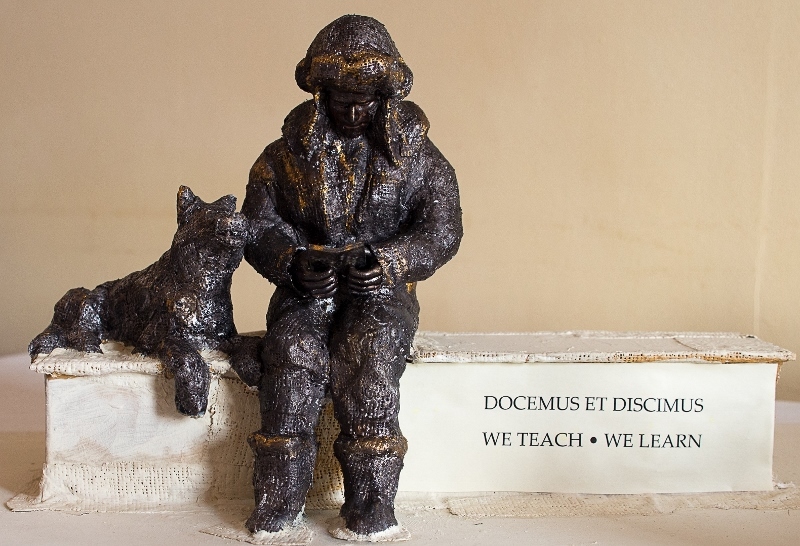 The sculpture of a pilot and dog cast in bronze. 2. Stone plinth with engraved lettering and two military badges. 3. Groundworks and contingency, although we hope to gain commercial sponsorship for the groundworks (foundations, crane hire, labour etc). There is a fourth element that we would also like to achieve, but will have to form part of a later planning application once the housing development is complete. 4. 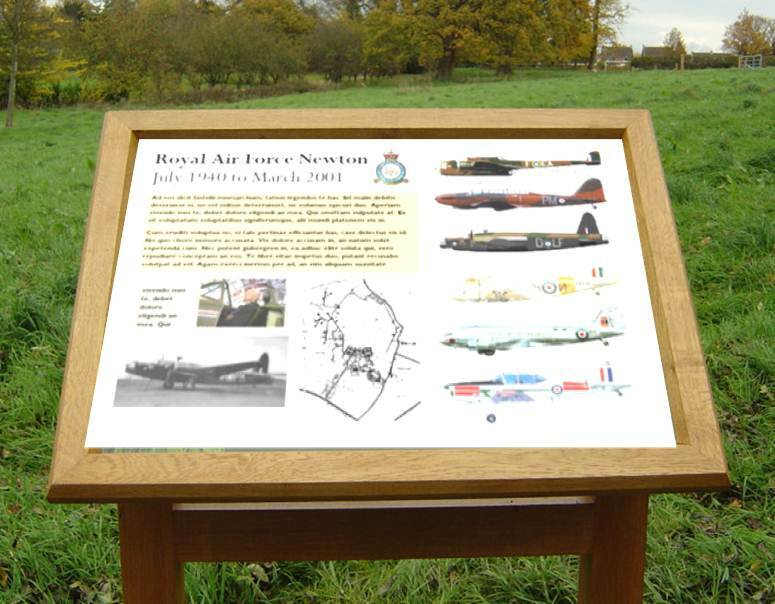 Manufacture a series of six heritage panels attached to stainless steel lecturns to tell the story of RAF Newton from 1940 to 2001 which could be sited along a planned cycle-track/footpath around the perimeter of the development. The memorial has been included in the outline plans that is currently being discussed by the planners (Rushcliffe Borough Council) and we are keen to take the project to the next planning stage in consultation with Newton Parish Council and the Borough Council once the next phase is sold to housing developers. The ideal location for the memorial would be a central focal point of the new village, such as a village square or community centre. The memorial will help bring the community together, especially on Remembrance Day as there is no place of worship planned for the community. When indeed? An impossible question to answer at this stage as it all depends on when the next housing development phase is given the green light. Once the reserved matters for the housing development are discussed by the relevant councils and everyone can see what the house builders are planning for the site, the committee of the RAF Newton Memorial Fund can then negotiate with the relevant house builder or landowner over an exact location, a timescale and other details. But until then, we cannot do anything but wait and keep on raising funds. 1936 Newton Squadron, Air Training Corps are keen (in principle) to help out with future maintenance of the memorial and even potentially "adopt it". 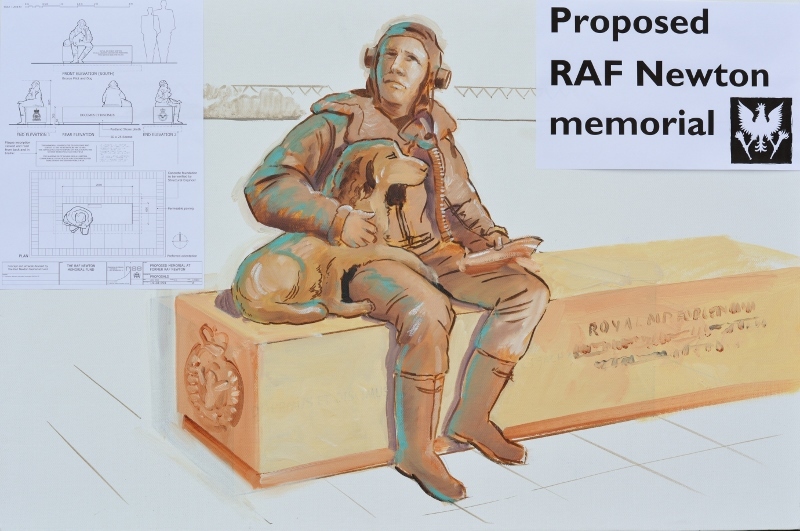 The remit of the RAF Newton Memorial Fund is simply to ensure that a memorial is constructed at the former airfield before it disappears forever. It could potentially be financed from several sources and the end result will be gifted to the community. 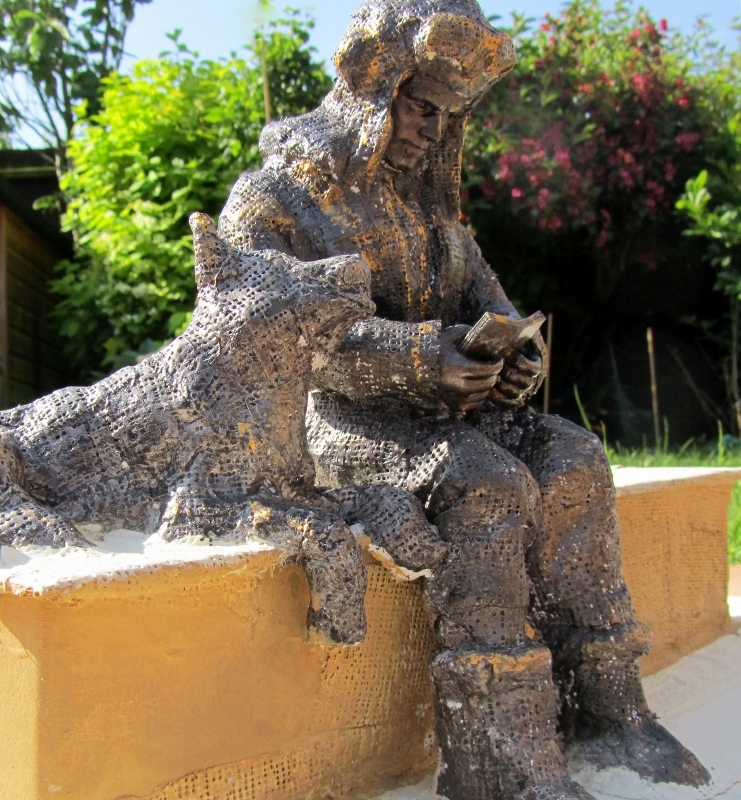 Any surplus funds will be kept in trust to help with the future upkeep of the memorial.